As the last glint of hope vanished, they whimpered, fully aware that death was closing on all of them. They have never been so sure of the inevitable. There was neither a sudden surge of fear rippling through them nor a riot of doubts crashing on them; they just were sure and clear of what was to happen. They have travelled the helluva desert with those who shamelessly profit from human lives, and now they have to face their final fate without the slightest trace of pride or sense of accomplishment. No one can accuse them of not fighting for life; it was the reason of their predicament, and what drove their odyssey across national borders in the first place. They started their journey on the wings of hope, but fate had decided to jettison the non-essential cargoes. Make no mistake, they did not throw in the towel; they just resigned, and as the ultimate verbal representation of their resignation they had to scribble on the walls the immortal words: THIS TOO SHALL PASS. It is a way to refute their dehumanization. It is poetic, philosophical and profoundly human. The quest for immortality has been with us since time immemorial, but it has proven to be unattainable, and the closest we have come to it is through memory: no one wants to be forgotten. In our tradition, we bitterly mourn those who die without bearing children for they are more likely to be forgotten: smom nqedmiom. It is for this that many of our brothers and sisters in the deserts of Egypt and Libya have written their names on cave walls—they want us to remember them. Miriam was Here is Saleh Gadi Johar’s rendition of “Brooks was here and so was Red,” in the famous Hollywood movie, Shawshank Redemption, my all-time favorite one. It is a moving and poignant scene, and so is Saleh Gadi Johar’s latest novel. 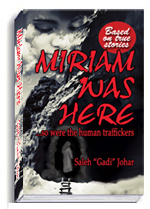 If any of you have wondered over the years why Saleh Gadi Johar belabors the issue of reconciliation, then look no further, Miriam Was Here is your answer. 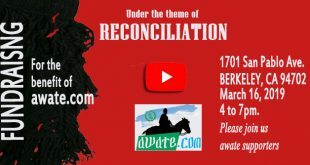 It is an Eritrean story which will resonate with every Eritrean regardless of persuasion and background. 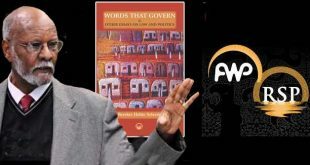 For those of us who have the privilege of knowing this rare Eritrean up close and personal, the book is a reflection of his political thinking. 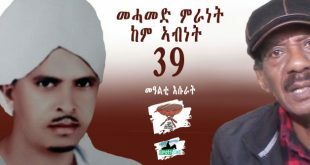 It is an honest expose of his inner personal thoughts of how things are and how they ought to be in Eritrea. 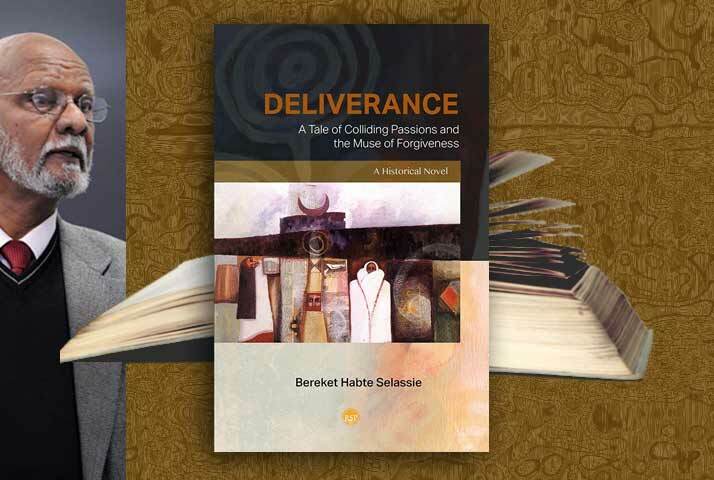 It is a serious book beautifully told by one of Eritrea’s best story-tellers. True to his Kerenite root, Saleh Gadi Johar can tell a story with the raw integrity of the truth. In Miriam Was Here, one finds the common themes which have become the stable of his writing and activism. The book acknowledges the many multi-faceted factors that have compounded the problem; nevertheless, it argues that the problem is inherently political that needs a political solution. One is constantly reminded that an understanding of the origin of the problems is the best way to ensure the prevention of anything similar from happening again. Oftentimes, and in the words of Josh Billings, the 19th century American humorist, “It ain’t ignorance that causes all the trouble in this world. 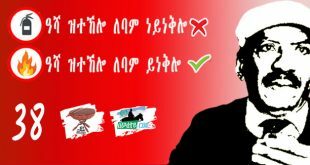 It’s the things people know that ain’t so.” Saleh, through awate.com, has made it his life’s mission to “Inform, Inspire and Embolden.” In Miriam Was Here, he has succeeded. For those who seriously seek understanding, Saleh Gadi Johar’s latest book is a feast of intellect that will keep you on the edge of your seats. Miriam Was Here goes beyond the usual headlines that rightfully stir our emotions, but oftentimes make the obvious obscure. It delves into the root causes that have led to our sorry state of affairs. It compels us to come face-to-face with our ugly and shameful realities of why a bonafide hero like Zerom would leave a country he helped liberate and emigrate to America; and why the daughter of a legendary Tegadalay, Miriam, would become a mahyo, a courtesan, serving the new class of rulers in Eritrea, Zerom’s former comrades. Miriam Was Here is engaging and profoundly insightful book that will be read long after all of us are gone. It has done justice to those who have written their names on cave-walls: they will not be forgotten. 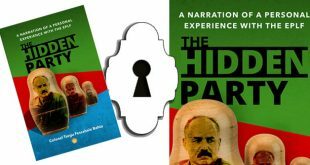 With this book, Saleh Gadi Johar has assured himself a place in Eritrean history. 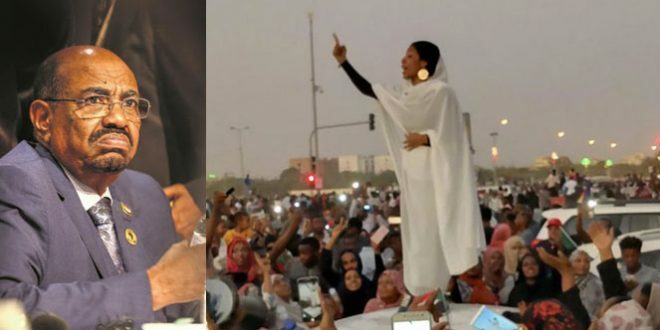 Future generation of Eritreans will say Saleh Gadi Johar was Here. when will our Arab friends stand up and defend the Eritrean victims in Arab lands, that is slavery, sexual abuse and organ harvest? The Americans, Europeans, UN and Ethiopians are talking. I don’t know but I would probably say when they start respecting the human rights of their own people.Three of the worst Human Rights offenders are in the Arab world. With the notable exceptions of such countries as Jordan, the Arab world lags behind in terms of Human Rights. It is interesting that your review came out at the very moment when I was warping up my thoughts on the same topic. In fact, I was giving it the last touch before I could send it to be posted. Upon seeing your name, however, I said, that’s great; let me put mine aside for now. But, it is quite unpredictable what topic generates discussions. 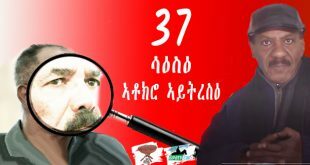 I was really hoping that people will delve in deeper conversations, especially, when you consider the plethora of congrats that Saleh was showered with when “Miriam Was Here” first came out; I thought, his book will surely be in subsequent editions already, but it appears to be the opposite, with the exception of Amanuel Hidrat, so far I have not seen anyone commenting on it. 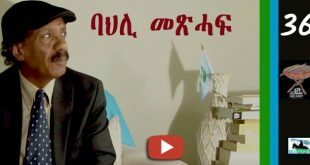 Two dispositions that I don’t envy others for possessing when it comes to Eritrean audience, you probably can easily guess this, Semere, is a singer and/or a writer. One would have to starve to death if one were going to attempt at making a living solely on his/her passion in these two fields. But, I am thankful to those of you who toil and spend a great deal of your time to write, just like those Eritreans whom you stated wrote their names in the caves so as history won’t forget them, I hope that history will be kind to those of you who write as well. Expecting readership from Eritreans is dismally disappointing. And your determination to write another book goes to show there is just no other way when one is blessed with such a gift, the curse, however, rests in those who fail to grasp the importance of encouraging artists. At any rate, Semere, I appreciate your attempt at trying to engage us, and I am sending my impressions of the book as well in a couple of days in hopes of nudging our good people from their slumbers and stupors to at least buy the book. No I do not get any commission for doing this. I will save my comments about the book for my posting, suffice it to say the focus of my piece will be Musa, what an interesting character, a character that comes alive with a great deal of dark sense of humor who reminded me of the Adem character in your book who was just hilariously funny. It is at the encounter of Musa’s character I was reminded of Adem; the main protagonist’s accountant, who was just unreservedly hilarious, whom I had grown to like in those pages; and whenever he appeared in the book I just reveled those moments and wanted so badly for Adem to stay on. It is in this that I admire both of you – your abilities to know what kind of a comic relief is appropriate for the kind of a story that you are telling is just fascinating to me. In “Hearts Like Birds,” for example, Adem’s humor can afford to be just sheer comic relief without the need for fear of being offensive either to the reader or to those characters with whom he interacts; hey, after all the setting was Dallas and the subject matter did not deal with human slaughter in a massive scale. Whereas in “Miriam Was Here,” Musa, well, see future post on this all I can say for now. In “Hearts Like Birds” the narrator (Yonas) and the main protagonist (Abdurahman Beyan, no, Semere didn’t have me in mind) rightly carry the burden of their Diaspora’s cultural and religious identities as Adem was just having a field day at his friends’ expense, which was a befitting comic relief, indeed. There is another interesting parallel I notice between your book and that of Saleh’s, i.e., in how memory plays out on the reader, at least on me. Let me speak on yours Semere. I had no problem going to wherever the memory wanted to take me when I read your book; I was just ready to face it head on because, by in large, I knew my experience in Diaspora, namely, in the U.S. has been pleasant one. In the case of the latter, however, well, readers have to learn how to be patient as patience is the virtue in storytelling. Stay tuned. I can’t wait to read your book report of “Miriam Was Here.” As a random reader of novel books I might be wrong, but the way the book ends is inconclusive as if there is a continuity to it. Towards the end …Saleh left us hanging there because the tragedy of our young didn’t find an end to it yet. Semere’s piece is more of admiration to the talent of Saleh (which is true by the way) rather than reporting about the book. 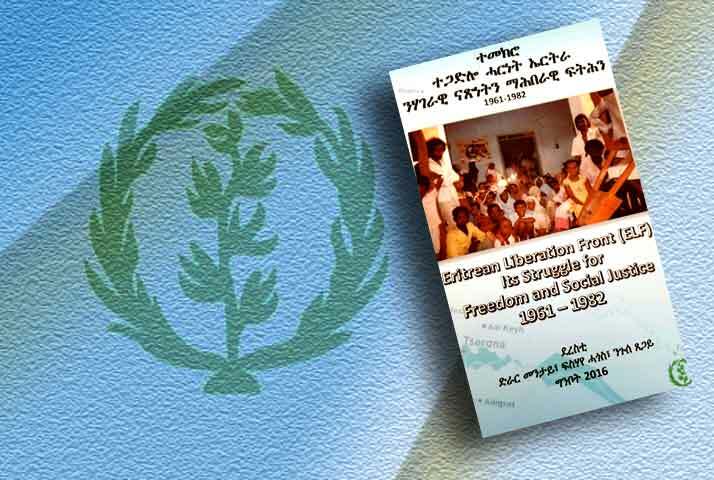 I foresee that the book will have a good chance to be presented and cast as reality movie trailer in future Eritrea. While we are waiting yours, Burhan Ali who did a good job in his first book will somehow show up with his report this time again. A good book, a book that I characterize as a good book and a joy read is when it engages me at some level to a point of drawing me into the characters with whom I begin to relate at some capacity – those kind of books I get a great deal of satisfaction out of. You may well be right Aman that a sequel, a prequel, or series of stories may be in the offing. That’s well and good. But, I am more interested in the personal relationship that gets forged between the reader and the book being read in real time as the act of reading is taking place, that’s where I like to engage others who read the book. Musa’s character, for example, engaged me so much so that I began to delve into my own recollections; this particular character drew me in and triggered in me the memory of my formative and adolescence years, the years that I didn’t not yet want recollected; those years that one consciously or unconsciously suppresses and want them submerged until some such reading experience takes place, and at which point the floodgates of memory are wide open and there is no containing them. There are books that engage you, as you know, at a visceral level that puts you in an emotional wreck. The last book to reach me at that level was when I first read “The Kite Runner,” the “Hollywoodization” and the “Bollywoodization” parts of it notwithstanding, it was a well told story. It dealt with two children one who is doomed to grow as a servant’s son (Hassan from Hazara tribe) who was just a shadow of a wealthy family’s child (named Amir from Wazir Akbar Khan), as it were, Hassan was just his companion with having no life of his own but serve as comfort to this kid from affluent family. Of course, there are several levels in which that book engaged me in , but you get where I am getting at here. So, each and every book we read tends to engage us and somehow, someway, it taps into our senses from within, and that’s what I try to draw out when I write about a book. I did not read Burhan’s review that you speak of from the previous book of Saleh’s, but I think my interest in writing about a certain book centers around its capacity to engage me personally. Frankly, I want to encourage readers to buy the book because I believe wholeheartedly that the topic has goes beyond Eritrea and has international component to it; and, of course, the importance of supporting artists and writers I put high premium on. I just hope people divvy up and even buy it as a gift for others. We must support writers, artists to thrive in their profession. Their toil should be rewarded monetarily so they may continue producing. I just saw your comments this morning. As expected you make interesting parallels and I could not agree more on the overall theme of your message. If we are to develop our own literature, then, we need to help out writers by buying their books and promoting their works. Literature is the best way to reflect out state of being. Talk to you soon, bud. I read your poem and enjoyed it throughly. You’ve a way with words. What can I say bro: afka ysAr: Atsmka kea yKber. 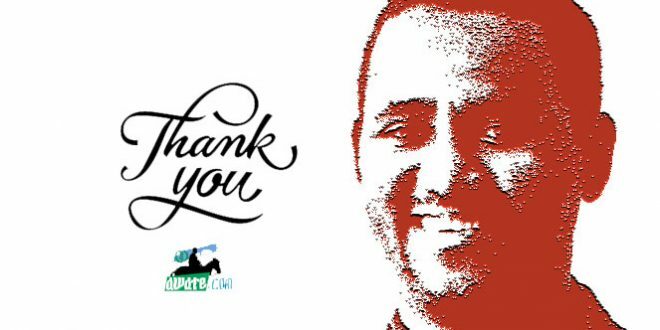 Thank you and my next poem in Jebena will be “Saleh was here” I will write my poem imagining the future putting my self in generations to come where Eritrean is advanced and in peace. 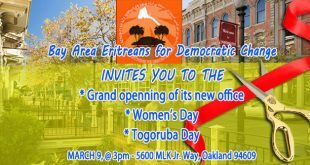 Long after PFDJ has gone and when people only knows us as history. 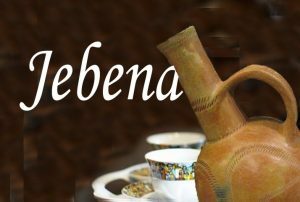 now it is right in Jebena please enjoy the first part.